Film Editor, Producer and native Chicagoan Karen Lynn Weinberg's directorial debut Keep Talking is set to make its Chicago premiere at the Gene Siskel Film Center this Friday January 5, 2018. It is a documentary feature produced by Ten Trees Productions, Vision Maker Media and Kartemquin Films. 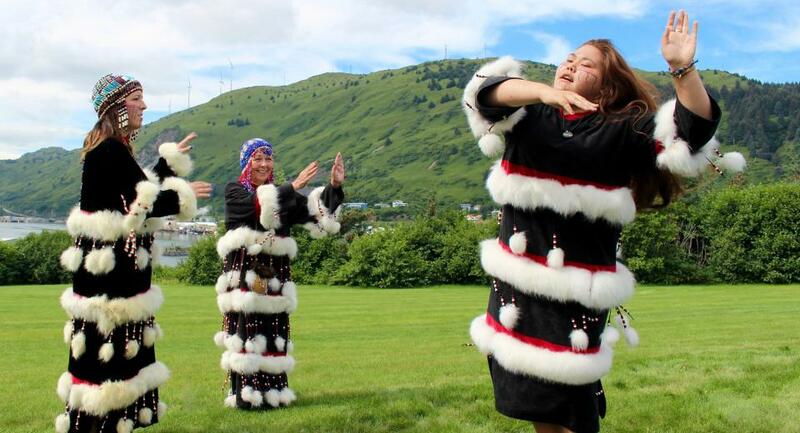 Keep Talking follows a handful of Alaska Natives (mainly women) who are behind a vital movement to save the endangered language Alutiiq. The remote island of Afognak is the setting for their language camp where they inform, educate and teach Alutiiq to the Alaskan youth. Weinberg's film, much in the spirit of Kartemquin's exceptional documentaries, is an observed, clear and enlightening look at a struggle that is unfortunately underexposed. Weinberg took the time to speak with Free Cinema Now in anticipation of her film's upcoming special engagement at the Siskel Film Center, as part of its "Stranger Than Fiction" 2018 film series. Free Cinema Now: What was the spur for getting this film made? KLW: Yeah! So I was sent by the company here in Chicago to Kodiak, Alaska in February -- in the snowiest winter on record -- and I'd never been to Alaska. I was just supposed to teach a one week class at the college on that software [Final Cut] and I learned that my whole class was made up of Kodiak Alutiiq people -- Alaska Natives -- [who were] working on learning the software so they could continue their movement to preserve their language and culture. I met Kari Sherod, who was with the Native Village of Afognak. She gave me a tour of their language movement, a tour of the tribal building and [she] kind of made me familiar with what had been done and what the goals were; we started to form this idea that we could maybe work together to get something done. A few months later, I emailed her and pitched the idea of doing a documentary and it sprung from there. FCN: There are some underlying recurring themes of alcoholism and domestic violence with some of your subjects and I'm wondering, on a sociological level, did you find that they were all in this movement for the bigger picture [of preserving their language] or did you find it more that they wanted to be saved [from their personal trials] in their own type of way? KLW: It's sort of a chicken or the egg question I think you're asking. It's one that I don't really have an easy answer for. I asked one subject if they felt they were personally impacted by historical trauma and she said, "No." It's possible that some of the social issues that are addressed in the film through these main characters, such as alcoholism and domestic abuse, are maybe by-products of historical trauma. Maybe they're just personal struggles. I leave it to the viewer to decide what they take away from it. But the impact becomes clearer over the course of the film: They all seem to get a similar kind of empowerment through the course of doing the [language revitalization] work. And that's underscored by...you know, I don't want to give it away, but there's a big scene towards the end where something happens...and the idea of historical trauma being 'healed by language revitalization work' comes into play. That for me was one of the main revelations I think actually can apply to everyone, not just Native Americans or Alaska Natives. When we are removed from our people and our history and our culture, there's a puzzle piece of identity that's taken out and the only way to get that back, is to get back the connection to identity and culture and language. That's something that I hope everyone walks away kind of reflecting on. On that idea of: What is language? What is my background? Do I have something missing that might be connected to my own attachment, or detachment, from my heritage? FCN: In terms of semiotics, if we consider that we have a U.S. President who tweets whatever pops into his head, and how much of our day-to-day social media language in this country ends up being throwaway content, I'm curious, did that juxtaposition of our limitless tweets and characters versus the Alaska Natives' limited resources to save their actual language ever play into how you laid your film out? FCN: I noticed some acknowledging of the "filmmaking" in Keep Talking. There was a shot of the camera tripod on the boat ride to the remote island. There's also a scene where a subject who is being interviewed suddenly acknowledges the boom operator and then we see the boom operator. I see such things as a stylistic choice. Were there any documentary filmmakers who were of influence into how you put this film together? KLW: Basically all the folks at Kartemquin were a direct influence, or indirect; we had multiple feedback sessions and their films tend to acknowledge the thin line between filmmaker and film participant, or the person in front of the camera. As a documentarian you strive for a true story and part of that truth is that we were very much present. You can't have a small living room with four people, [with] three of them being crew and not kind of get in each other's way once in a while. You know, the "fly on the wall" is a very nice idea...but the moment that she, in the scene you're referring to, points out the boom operator, I indicated to the cinematographer, "Hey get a shot of him..." just in case we wanted to acknowledge this moment as being salient. And it wound up being salient because it sort of reminded her [the subject] of her shame for speaking; you know, here we are, these outsiders...we are a trigger. So it had to be in [the finished film]. FCN: How many film festivals has Keep Talking screened at? Can you talk about the kind of reception you've been getting? KLW: We've actually been to six festivals now. You know, you work in a bubble for the better part of five years and you don't know what you're going to get at your world premiere. It was overwhelming to be at the Vancouver International Film Festival; they used our cover image as one of the main images for the festival, so to walk by bus stations and see our poster or a giant banner...that was overwhelming. Then there was a nice big crowd, with a line around the block. And then to have people actually in the talkback inquire about Sadie [one of the film's primary subjects]. On opening night, a mother who brought her daughter -- they had just come from their own language class -- thanked us for having a role model [Sadie] for her daughter. She cried and thanked us. Moments like that began happening at these festivals and I [realized] that [the film] is resonating with people and it is filling a void in representation. That is incredibly rewarding. You can learn more about Keep Talking at its official website and be sure to watch the trailer below.